A good fish patty is hard to come by and store bought fish cakes were never really an option for me. Like most pre-cooked frozen packaged items, they are full of chemicals and artificial flavorings. 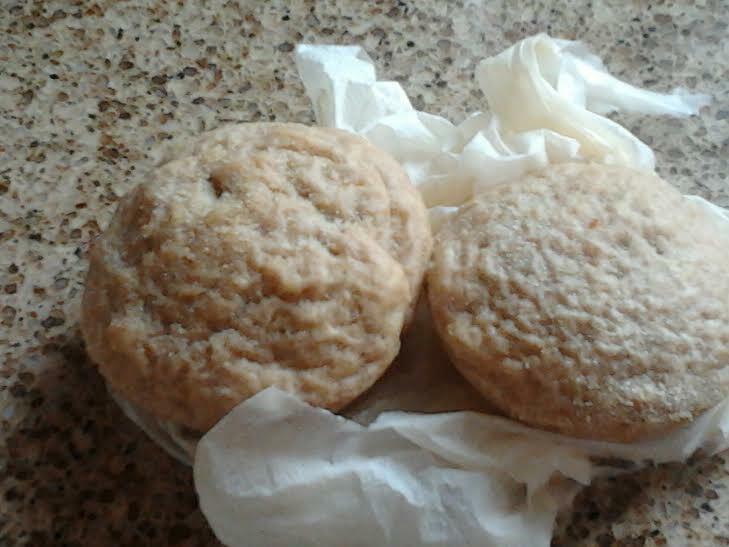 Not only are homemade fishcakes tastier by many miles, they are much healthier too. It mostly depends on the quality and quantity of the ingredients you use as well as the preparation methods. For this particular fish cake recipe, I used fresh boneless fish fillets rather than canned fish. I much prefer to cook with fresh ingredients as they guarantee more flavor. I used salmon and bass but any boneless fish will work fir this recipe. I borrowed and modified this recipe from a cookbook that required loads amount of butter and cream. I made and served these fish cakes over Passover and therefore I used matzo meal in lieu of bread crumbs. With all things said, this fish cake recipe is dairy since I used yogurt but you can use mayonnaise as well. I doubled the recipe with the intentions of having enough leftovers for me to eat for lunch during the week. The inevitable happened; I miscalculated the amount of fish cakes I made so the idea of having leftover fish cakes was just mere wishful thinking, much to my chagrin. Crispy and light, these fish cakes can be served as a summery appetizer or for lunch and dinner. Learning how to make fish cakes from scratch using fresh fish is not as daunting as it seems. 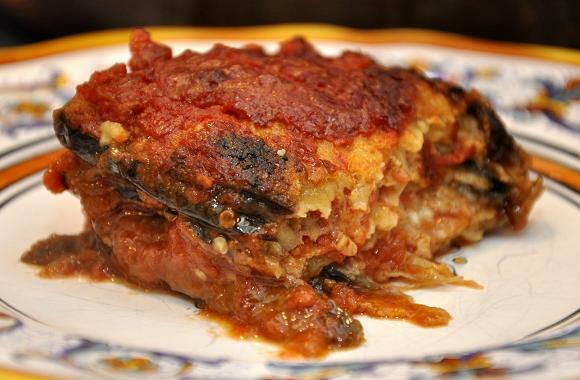 I used to make a huge mess with canned fish primarily because they tend to be more watery and therefore boneless fresh fish was easier for me to work with. Since this was my first time making fish cakes, I went in search of perfection in my quest to pack flavour and texture into fish cakes without relying on copious amount of saturated fat. By cross-referencing two recipes and modifying the ingredients as well as measurements, I alternatively found the one that was satisfactory. If you are not serving these fish cakes immediately, they are terrific to have on hand in the freezer. You can take out as many or little as you need. Simply defrost them in your refrigerator and they will be ready for you to cook the next day. If you like, serve these fish cakes with your favorite tartar sauce. 1/3 cup of mayonnaise or low fat yogurt of your choice. Preheat oven to 400 degrees F. Heat olive oil in a skillet over medium high heat. Add onion and saute for 5 minutes. Add wine. Cut fish into cubes and add them to the pan. Cover skillet, turn off flame, and allow them to cook for 3-4 minutes. In a large shallow bowl, mix yogurt and lemon juice together. Add fish and onions to the mixture. Pour in bread crumbs. Add parsley, salt, and pepper and mix well till incorporated. Form to 10 or 12 patties. Dunk each disk in a small bowl of bread crumbs. Place patties on baking sheet. Drizzle with olive oil. Bake for 20-25 minutes or until crispy. 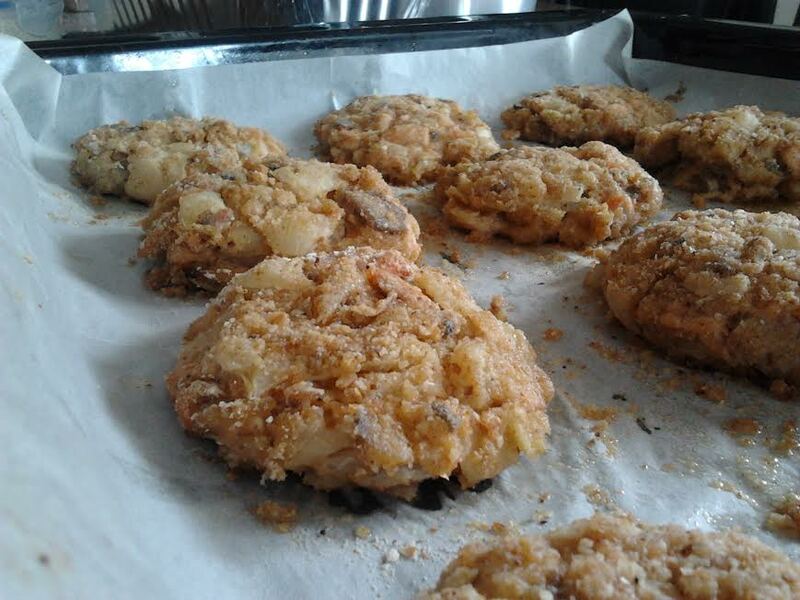 This entry was posted in Dairy, Fish, Sugar-free and tagged fish cakes recipe, how to make fish cakes. When I think of porridge, I cognitively associate it with Goldilocks and Three Bears. Thankfully, I never had an issue of someone breaking into my house to eat my breakfast. Although, I’ve encountered people complaining about not having what to eat for breakfast. If I were to create my own version of the story, it would illustrate Goldilocks as the housekeeper for the Three Bears who woke up one morning to finding nothing that they like to eat for breakfast. Goldilocks suggested making a millet porridge for them in which they agreed. She made sure that the porridge was neither too hot too cold, too bland, or too flavorful. Baby Bear wanted some fresh fruit served with his porridge while Pappa Bear and Mama Bear wanted to top their porridge with toasted nuts. Goldilocks made it just right and the Three Bears decided to permanently hire her as their housekeeper. Goldilocks made sure that breakfast was readily available for them the first thing in the morning for the sake of her job and survival. I suppose I am both the Three Bears and Goldilocks in this story. Thank God, it doesn’t take much to impress a household of growling bellies. Millet is an ancient seed, originating from Africa and northern China. It remains a staple in the diets of about a third of the world’s population to this very day. Rich in iron, B vitamins and calcium, millet has a mild corn flavor and is naturally gluten-free. At first glance, you might be tempted to think that raw millet resembles much like birdseed. But these little yellow bead like grains have a really lovely and light texture when cooked, are relatively quick-cooking because of their small size, and are incredibly versatile in dishes ranging all the way from breakfast to dinner. As someone who is new to cooking millet, it took be a bit of trial and error to perfect it the first found. I recently started eating millet and I had to rely on the imprinted cooking instructions on the package it get it right. I I made rice pudding before, how hard can making millet porridge be? I gave it a whirl and the end result is like a mix between polenta and cream of wheat. This porridge thicker than cream of wheat but creamier and softer than polenta. 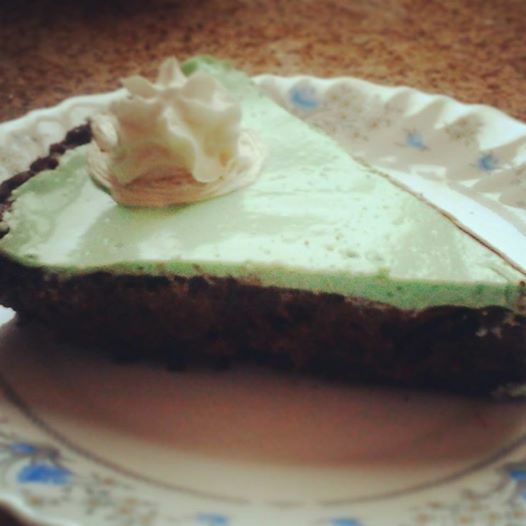 The flavor is light and nutty and totally devourable without a single topping. I thought it would need some cut up fresh fruit on top to sweeten or a honey drizzle but it was perfect all on its own for my taste buds. Okay, so I did splash in some vanilla extract and season it with cinnamon. I truthfully find this breakfast idea much more comforting and satiating than a bowl of oats and perfect for the cold snap that hit us this season. In a small saucepan, combine millet, water, milk, cinnamon, vanilla, and salt. Bring to a boil. Reduce heat to low, cover and simmer for 25 minutes without stirring. If the liquid is not completely absorbed, cook for 3-5 minutes longer, partially covered. Remove from heat. Top with raisins or nuts. Drizzle with honey or maple syrup. Serve hot or at room temperature. 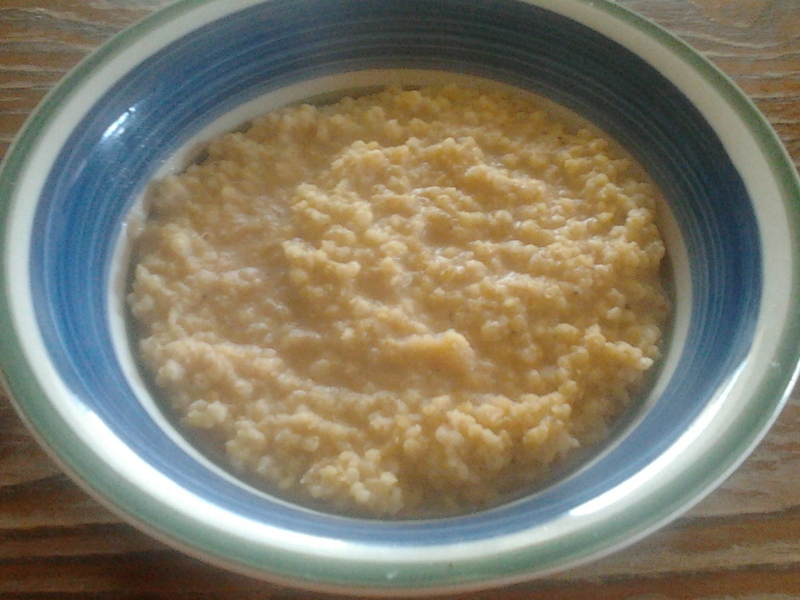 This entry was posted in Breakfast, Dairy, Gluten Free and tagged gluten-free breakfast idea, millet porridge recipe. According to one of Sholem Aleichem’s tales, Tevye the Dairyman praises his wife’s cooking. Noodle kugel is one of them. He claims that if you tasted her noodle kugel you would learn the meaning of paradise on earth. Good kugel ranks among life’s best pleasures, at least where I hail from. 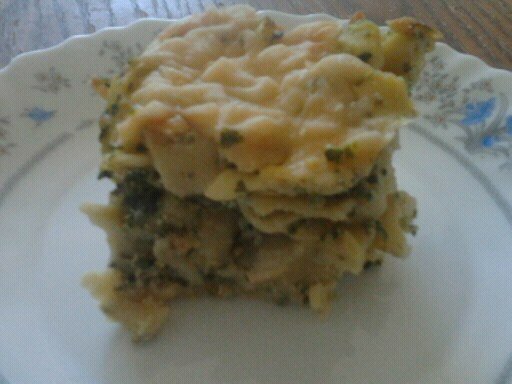 Anyhow, I promised a spinach ricotta kugel recipe would follow. So here it is. Despite the stereotypical delusions some of you may have of me, I don’t run a typical Jewish household. That doesn’t mean that I don’t tend to my chores of keeping the house clean and making sure that hubby has something to put in his belly after a long arduous day of work. I mean to say that I don’t cook and serve the “typical Jewish food”. I know kugel is one of them but a dairy kugel usually stands out of what’s considered to be traditional. As hard as I try to fuse traditional food with contemporary culinary delights, sometimes my efforts prove to be futile so I don’t often bother. Plus my adventurous side and curiosity (a dangerous combination) gets the better of me and I am always eager to try something new. You can only make potato kugel in so many different ways but there is always a variety of dairy kugel recipes; most of which are sweet. Modernizing kugel is one way to make the dish more appealing to the generation of younger men and women who like to avoid what they consider heavy, fatty, old-fashioned Jewish dishes and are unafraid of new ingredients and flavors like yours truly. This time, I present to you a spinach ricotta kugel recipe which serves well with fish and a glass of white wine. I used frozen spinach and onions but you can add any vegetables you want. I thought about throwing in some mushrooms but they were nowhere within my reach. Preheat oven to 350 degrees F. Cook noodles until “al dente” and rinse with hot water and drain well. Set aside. In the meantime, saute onions in a cast iron skillet over medium heat till translucent. Add garlic and saute for another two minutes. Add spinach and saute for 5-7 minutes. Turn off heat and set aside to cool. In a large bowl, combine ricotta cheese, yogurt, and a 1/2 cup of shredded cheese. Add noodles, herbs and vegetables and mix well. Season with salt pepper, and chili powder. Transfer mixture to a greased 9″ X 13″ baking dish. 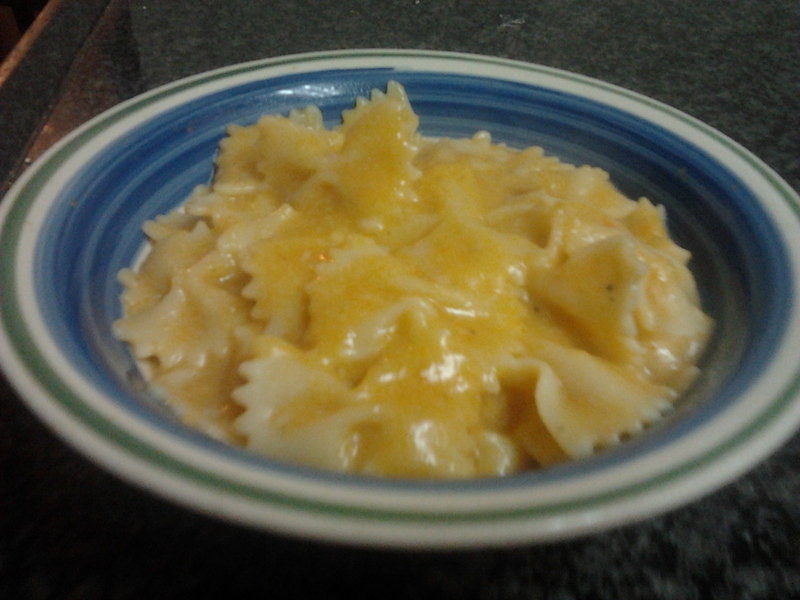 Sprinkle top with the remaining 1/2 cup of shredded cheese and paprika. Bake for 45 minutes until hot and bubbly. This entry was posted in Dairy, Side Dishes, Vegetarian and tagged dairy kugel recipes, dairy side dish ideas, frozen spinach, ricotta cheese.